Most of the electronic doodads in your house come with remote controls, but your computer probably doesn't. Unified Remote turns your phone or tablet into the PC remote you always wanted, and it's on sale for a few days. This app is usually $3.99, but this weekend it's a mere $0.99. 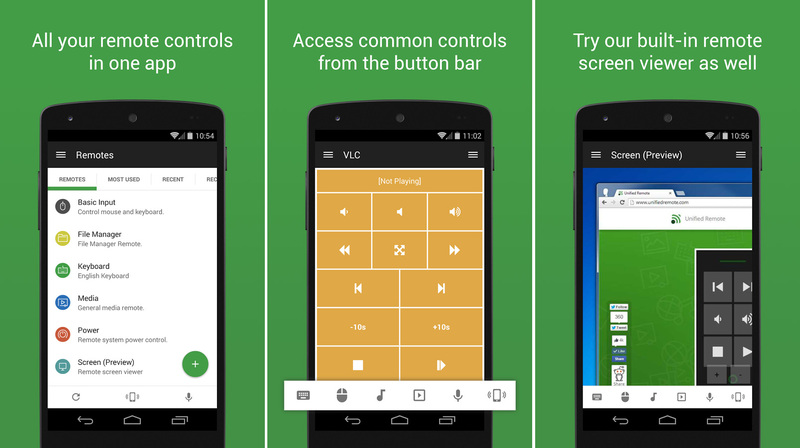 Unified Remote allows you to control the keyboard and mouse on your computer, of course, but there are also more than 90 included remotes for programs like VLC, Spotify, Chrome, Powerpoint, and more. You can set up custom remotes too. Just download the app and install the server software on your PC, Mac, or Linux box to get started. There's a free version of the app if you want to give it a shot before dropping a whole buck on the full version. That one has 18 included remotes and the basic feature set. The full version adds all the other remotes plus extras like Android Wear support, voice actions, and NFC actions. This app doesn't go on sale often, so give it a look before the price goes back up.